Last weekend, David Briggs attended the grand opening of the new @sidjacobsonjcc Annex, designed by Loci in East Hills, NY. The Annex’s 11,000 sf includes office spaces, conference and training rooms, and the JCC’s new community food bank. Loci is proud to work with the JCC and their outstanding community service work. David Briggs, Executive Director of Gowanus By Design and Principal at Loci Architecture, will be speaking tonight at Parsons School of Design, along with a group of panelists consisting of designers, activists, environmental stewards, and politicians, to discuss the development and sustainability concerns that are happening in Brooklyn’s Gowanus neighborhood. As population displacement continues to push into parts of the city that have been scarred by 19th and 20th century industry, have insufficient infrastructure, and are at risk from environmental changes wrought by global warming, there needs to be proper planning set forth in order for sustainable development to happen and ensure continual growth. Tonight’s event is free and open to the public located at 2 West 13th Street, 12th Floor, New York, NY in the Sky Room L1201. Team Loci visited the LeFrak Center designed by TWBTA at Lakeside in Prospect Park this week for an ice skating outing! We’re hiring! Loci is currently seeking to fulfill two positions at our studio in New York City. Head over to our Contact page for details. Louis Kahn’s First Unitarian Church of Rochester, seen on a recent site visit by Loci’s Rachel Padowicz to Rochester for a potential project. Kahn’s masterful use of light and materiality is evident throughout this breathtaking building. 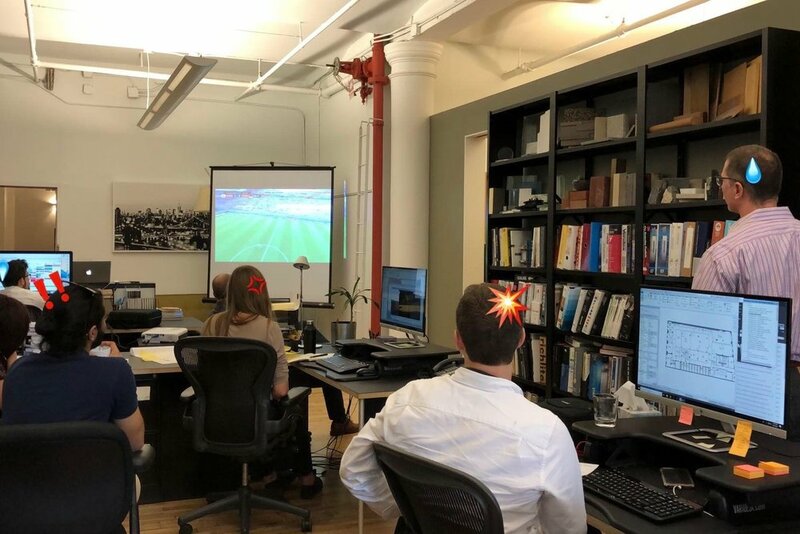 At Loci, we believe that a successful design practice creates a working environment that is relaxed and inspirational, yet focused on providing the best possible service to its clients. We are skilled designers, architects, and managers with diverse backgrounds who support a collaborative workplace. Each new team member is assigned a mentor who introduces them to the office culture and process. This relationship continues throughout the full term of employment and gives the entire staff insight, training, and a voice in the growth and success of our firm. Science fiction writers don’t always get the respect they deserve, but their visions of the future often become very real. Although we haven’t yet reached the dystopia of Bladerunner’s 2019 Los Angeles, it is worth taking stock of what has come to pass and how we must respond to it as designers and citizens. Click here to read the full article. 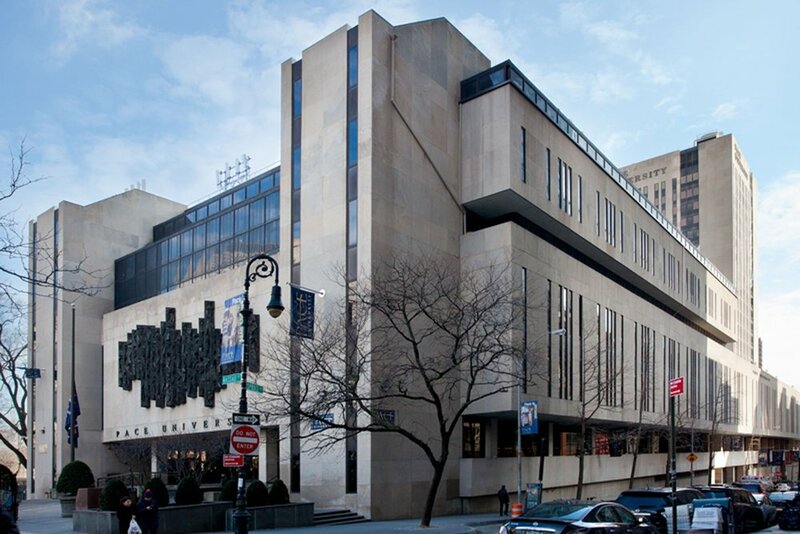 Continuing our work at Pace University, Loci has been engaged to provide FISP services at the exterior of 1 Pace Plaza, a 500,000 sf building and the campus center. Loci welcomes our newest team member, Tim Keesee! Tim earner his Master of Architecture degree from @ClemsonUniversity before moving to New York. Building on his background in woodworking, guitar construction, and digital fabrication, Tim contributes his rigor and attention to detail to Loci’s work. He often can be found exploring the ever-changing built environment of the city and admiring its historic buildings. Loci Architecture is now the Architect-of-Record for the Brooklyn Public Library main branch at Grand Army Plaza, helping the institution meet occupancy and code requirements. The team will assess the existing conditions, provide code review, and assist in closing-out open DOB applications, as well as preparing filing drawings for some of the design work undertaken by Toshiko Mori Architects. Levien & Company is providing Owner’s Rep services. Week 14 (and our final week) of Loci’s best projects over the past 20 years! This year we completed the transformation of a Jamaica, Queens warehouse with a big box retailer into a modern commercial property. The largest tenant is a kidney dialysis center that will serve patients from the nearby Jamaica Hospital Medical Center. The new, energy-saving facade system is carefully composed of EIFS, granite, architectural glass block, a porcelain tile-clad rainscreen, and metal panel canopies. Happy New Year! Entering the final stretch in Week 13: Working with Gowanus by Design, we submitted a proposal earlier this year for transforming the DSNY’s Salt Lot into a new public park on the canal. The retention tank/headhouse and composting facility/greenhouse are clad in the same corrugated sheet steel that borders the edge of the waterway; they flank the Gowanus Field Station, a community center finished with deep timber boards, reminiscent of the materials once brought in by barge to build brownstone Brooklyn. Each building has a green roof and the entire west side of the lot is proposed as a public park, landscaped with sloping hills and wetlands that offer novel views to the canal and the neighborhood. This conceptual proposal is intended to spark a conversation on how the canal’s new infrastructure can support much needed public urban space. 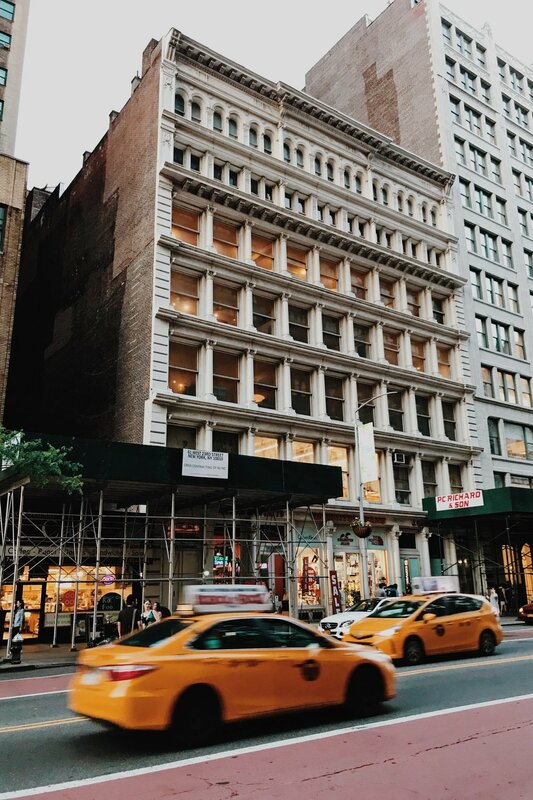 Week 12 - another highlight from the past 20 years: Several years ago we restored the largest property in the GFP Real Estate portfolio (formerly Newmark Grubb Knight Frank) that consists of three connected buildings in the Garment District that reflect a range of early-20th century architectural styles. Our project team meticulously analyzed the original construction types and developed appropriate details for each building that stabilized or replaced severely deteriorated building components, such as the decorative terra cotta, copper gutters, parapets, skylights, and balconies. 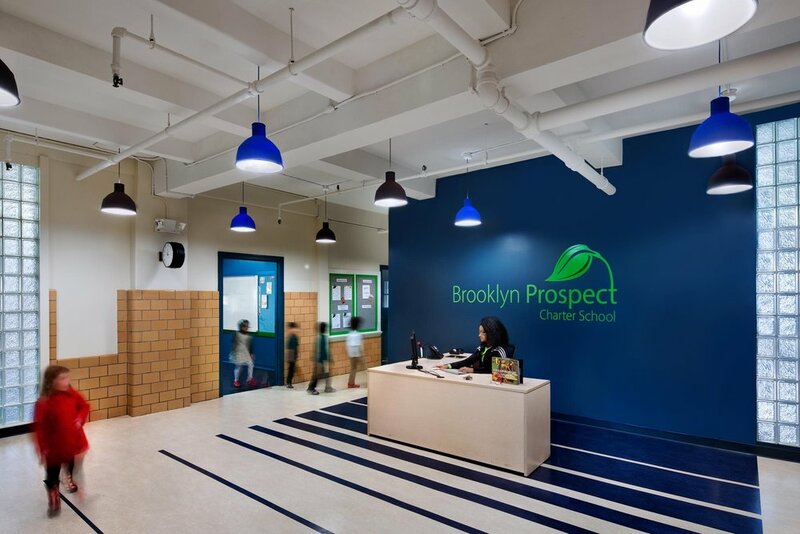 Continuing our 20-year highlights in Week 11: Brooklyn Prospect Charter School asked Loci to design a new K-5 elementary school in 2013 on the top three floors of a parochial high school in Downtown Brooklyn. We created a master plan that was implemented as the school added new students each year. For its inaugural year we renovated the eighth floor, opening up an entry lobby and adding glass blocks in the glazed tile walls that bring daylight into the center space. In 2015 and 2016 we added classrooms, offices, a food prep area, and speech and physical therapy spaces on the ninth and tenth floors. Week 10: In Soho’s historic district along lower Broadway, we renovated an existing dupl aex in 2011, adding a new penthouse to create a stunning four-bedroom triplex and roof terrace. Bluestone and a pergola built with sustainably-harvested ipé wrap the top floor. The lower terrace has an outdoor kitchen, fire pit, and dining area and the upper terrace has a hot tub and sun deck with sweeping views of the downtown skyline. Week 9 of our 20 year highlights: In 2012 we designed a Master Campus Plan for Brooklyn Prospect Charter School, which was moving into a former parochial elementary school. Our first project included renovating the classrooms and the gymnasium, creating a new library, and updating the entrance lobby. For subsequent projects we designed new science labs, a dance studio, a new black box theater, and converted part of the existing convent on the 4th Floor into classrooms and administrative spaces. Ford Foundation reinvents itself as the Ford Foundation Center for Social Justice, a beautiful public urban space in our city. Full article here. In Week 8, we look back at one of our favorite residential projects: Loci designed the complete renovation of an East Village penthouse and created a new private roof terrace. Walnut and honed bluestone floors were installed with custom Danish cabinetry and furniture to create a restrained modern aesthetic. Large windows and a skylight above the stainless steel and glass stair allows daylight to illuminate the penthouse interior while creating a link to the terrace above. Week 7! Partnering with Gowanus by Design, the non-profit co-founded by David Briggs, we designed a new community park for the Gowanus Alliance under the elevated F & G subway line in the Gowanus neighborhood. We met with community representatives and conducted a visioning workshop that identified key elements of the park: passive and active recreation areas, a comfort station, a dog run, and an open area to support a weekend green market. One of the park’s key features is the installation of the iconic KENTILE letters that were removed from a nearby building in 2014. 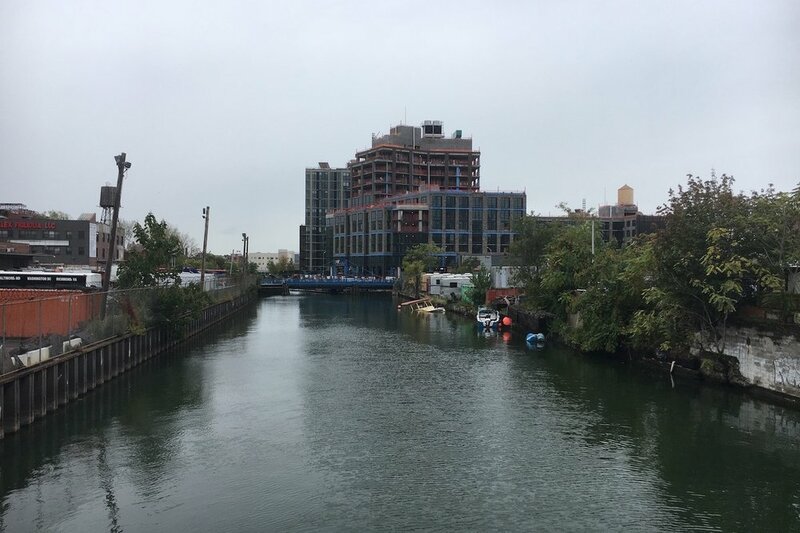 As part of a storm water management strategy throughout the Gowanus watershed, the project includes porous surfaces, rain gardens, and retention tanks to mitigate combined sewer overflow into the canal. Volunteer architects @bwoodarchitect of @dcm_arch and Ed Jose of Loci Architecture, with a group of enthusiastic parents, construct a haunted prism as part of a Halloween fundraiser at @Primary_Prep in Jersey City. Week 3: In 2007, we completed a new four-story 5,400 sf apartment building on a city-owned vacant lot. With a very modest construction budget of under $250/sf, we planned well proportioned living spaces and designed an exterior with zinc rain screen panels, bluestone trim, stucco, and brick that complement the neighborhood’s rich texture. 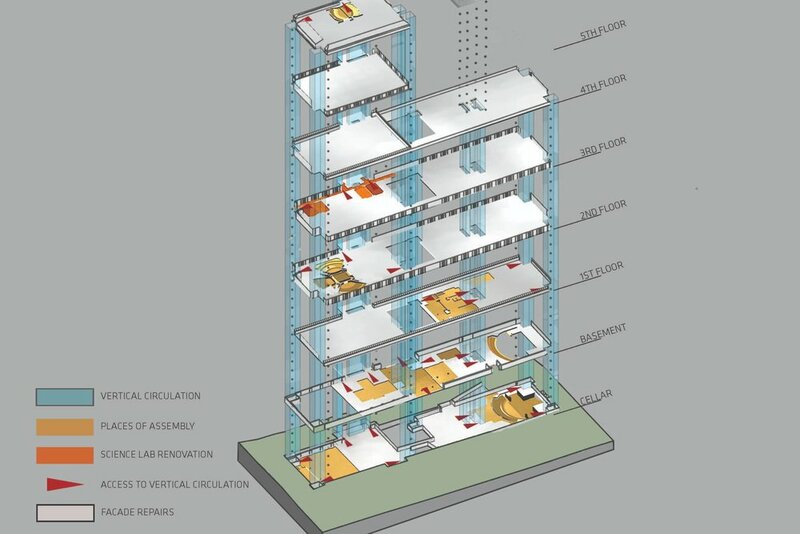 The completed project resourcefully integrated design features commonly found in more expensive developments with Harlem’s need for mixed income housing. In week 2 of highlights from Loci’s first 20 years, we are showcasing our work for this award-winning project. Our design was inspired by the building’s mid-20th century heritage; using the original building elements as cues, aluminum cladding was stripped off the marquee and replaced with stainless steel panels in brushed and sandblasted finishes. 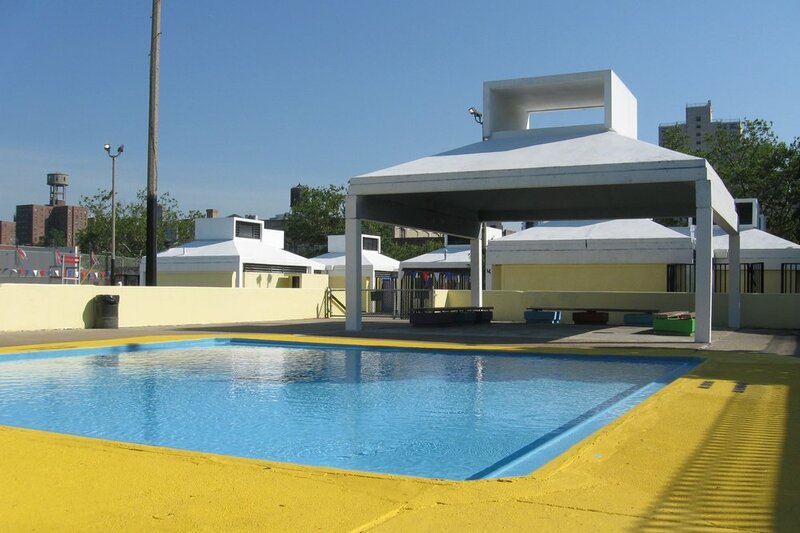 Awarded the 2007 Murray Hill Architectural Award for Excellence in Preservation and Design. Loci is celebrating its 20th year and will be posting past projects over the next few months as we prepare for a celebration. One of our early design successes in 1998 was this loft for two scientists located in a former industrial building in Greenwich Village. 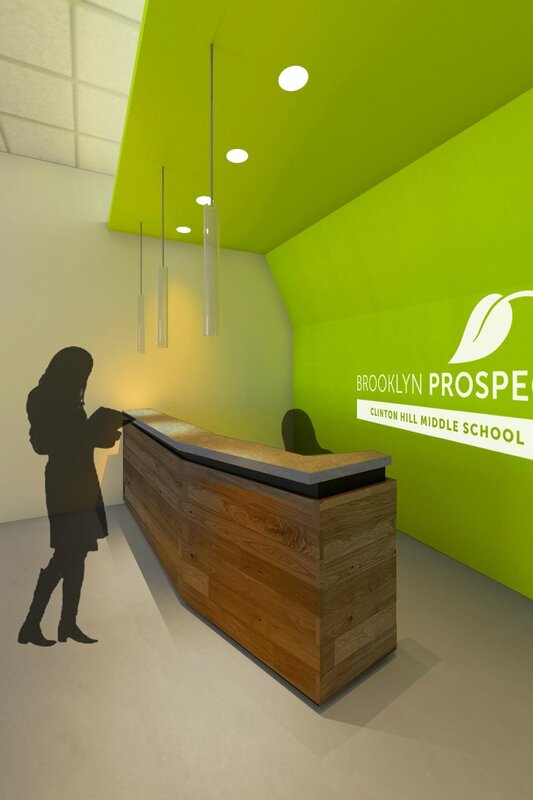 Our 2012 project for Brooklyn Prospect Charter School is a polling place for the NYS Primary. Cast your vote for a better democracy! Unity Prep Charter High School starts classes next week in their newly renovated building in Williamsburg. The building’s interior transformation is even more dramatic - we guided the four-story former college building through an extensive interior renovation over the past 2 months to get it ready for classes, including installation of new partitions to create twelve classrooms, a fully-equipped science lab, locker rooms, and administrative support spaces. The transformation of this former warehouse in Jamaica, Queens is nearing completion. The new, energy-saving facade system incorporates EIFS, architectural glass block, a porcelain tile-clad rainscreen, and metal panel canopies designed to minimize thermal bridging. 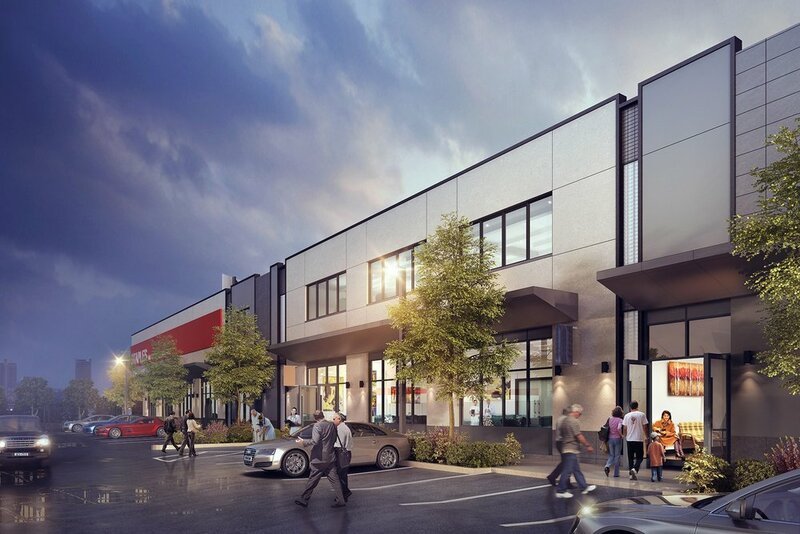 The building will serve the local community as a retail and commercial office complex. Thanks to Susan Shoemaker and the Moynihan Train Hall Project Team for giving us a tour of the new train station currently under construction! The new concourse will link the future Moynihan Train Hall to Penn Station and is anticipated to open in 2020. SOM is the architect, our friends at Severud Associates are the structural engineers, and FXCollaborative is designing Amtrak’s new facilities. Loci vacation photos summer 2018! From Alaska to Asbury, we enjoyed the nice weather, beautiful scenery and a BIG catch! Loci welcomes our newest team member, Jake Lefeber from the Rhode Island School of Design, as our summer intern. As a rising senior at RISD, Jake has explored a range of topics from small scale community-based projects to large scale urban planning. Enthusiastic to gain insight on unfamiliar aspects of architecture, Jake joined Loci determined to contribute the skills he has acquired through his education and get involved in the processes integral to designing a better city. Ed surveys the new site for Unity Prep Charter High School - a building formerly occupied by Boricua College in Williamsburg. The pedal is to the metal for this one - occupancy is late August 2018. Great exhibit about the new Zero Waste Guidelines at the Center for Architecture, created by our colleague, Clare Miflin. 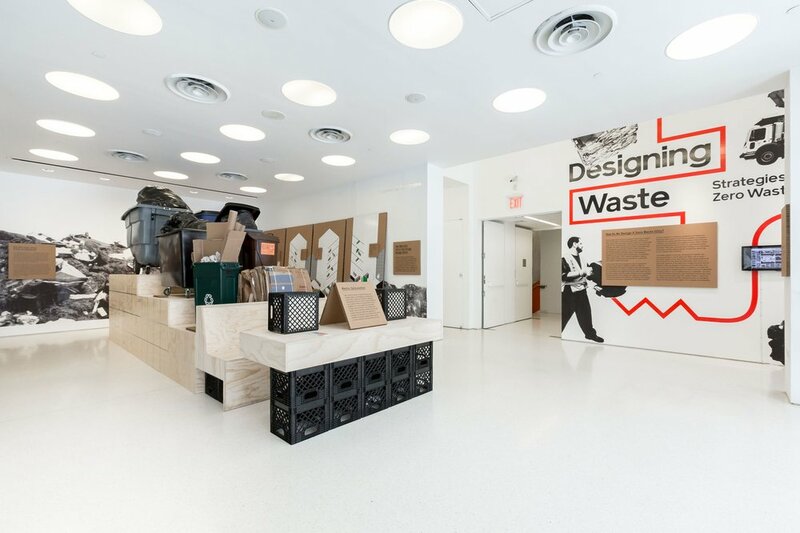 From the New York Times: "Designing Waste: Strategies for a Zero Waste City," at the Center for Architecture in New York, focuses on making it easier to recycle. 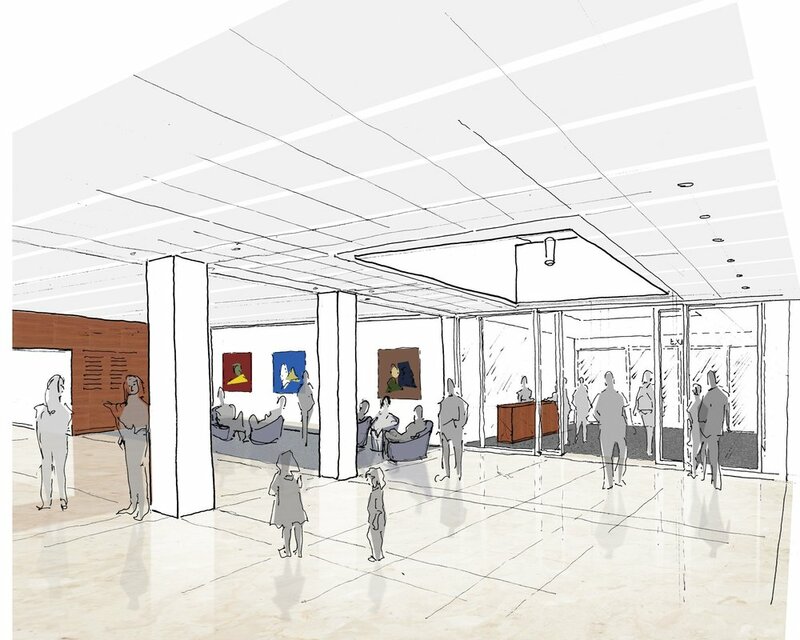 We are designing a significant renovation to a JCC on Long Island’s North Shore to improve community-based services at their 100,000 square foot campus. 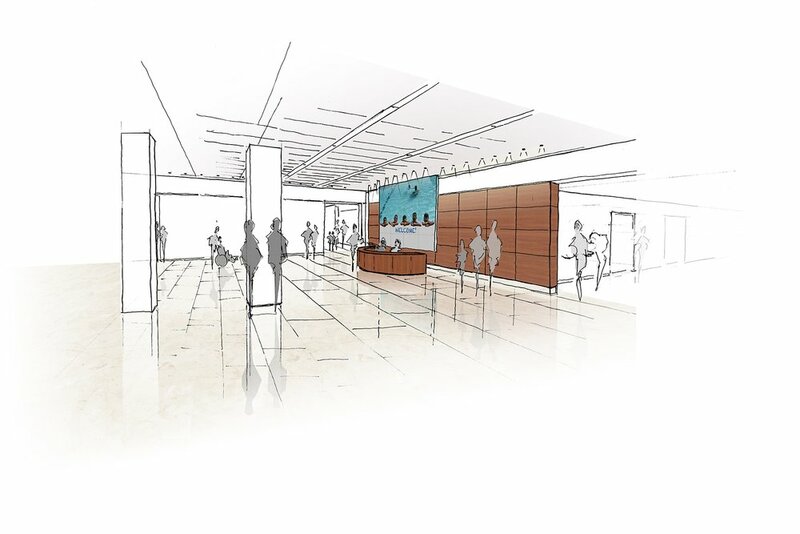 The work includes a reimagined lobby, more fitness instruction spaces, and a new culinary teaching kitchen to support their social programs for all ages. Work is almost complete on the exterior restoration of this century-old cast iron beauty located in the Ladies’ Mile Historic District near Madison Square Park. 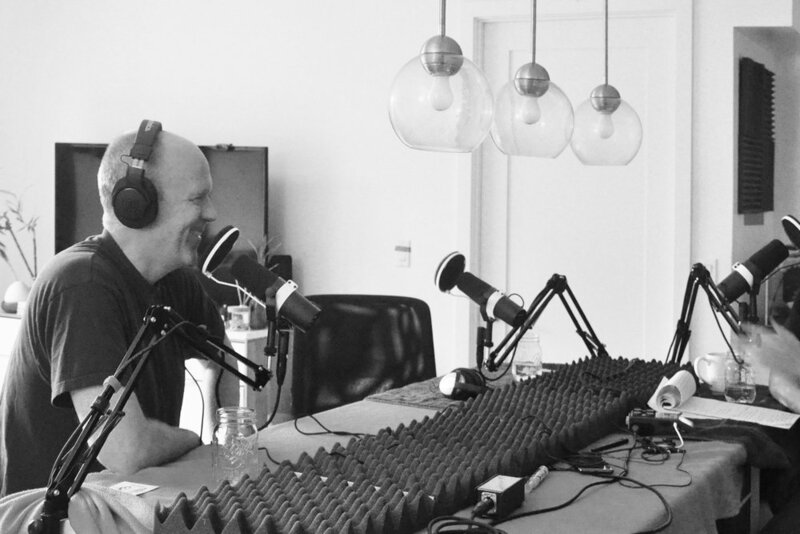 David Briggs is interviewed on the Midnight Charette podcast for three hours (!) 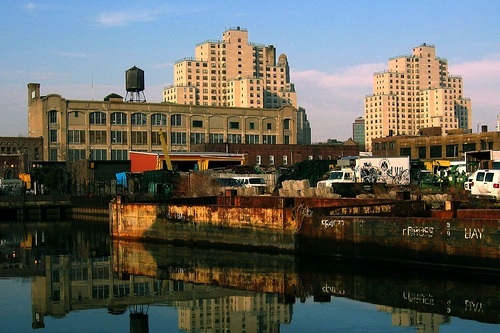 about architecture, the Gowanus Canal, painting, and life. Designed by Paul Coughlin, Kenneth Miraski, Jennifer Leone, and David Briggs, Dave’s non-profit Gowanus by Design publishes the Gowanus Salt Lot Public Park. 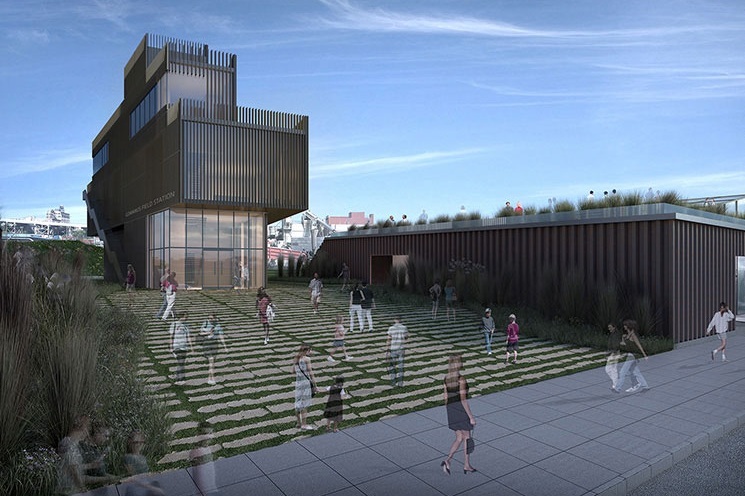 The proposal includes a new retention tank/headhouse facility, the Gowanus Field Station, a composting/greenhouse facility, and a passive recreation area surrounded by wetlands. 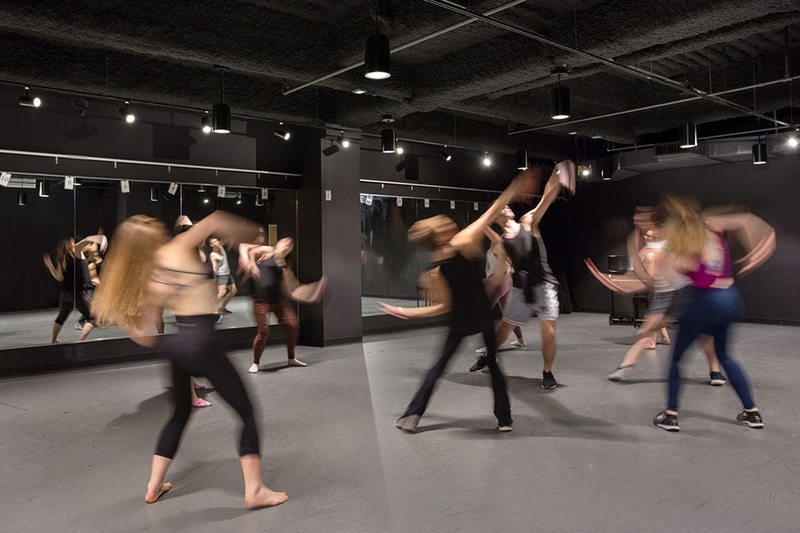 Construction is complete for Molloy College’s 16,500 sf Dance and Theater Studios on lower Broadway. Dave is a guest critic at NC State’s final thesis project review in Raleigh, NC. 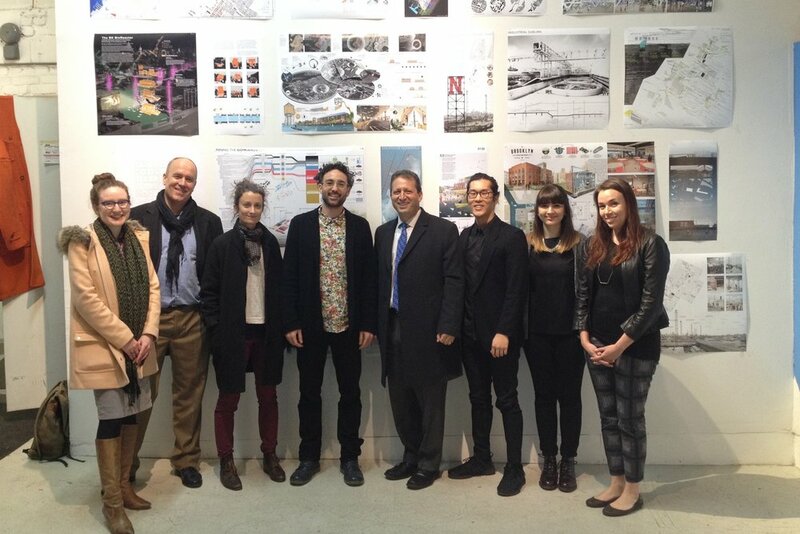 The graduate architect and landscape architect students tackled a myriad of resiliency and planning challenges around the Gowanus Canal Superfund site. Loci starts working on the first phase of implementing the master plan for the Sid Jacobson Jewish Community Center in East Hills, Long Island. 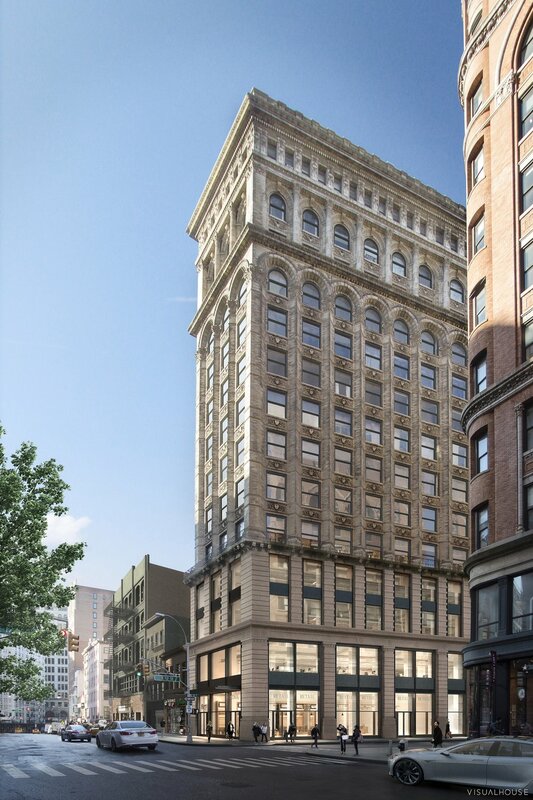 Loci is selected to restore the existing cast iron façade at 136-140 Grand Street. 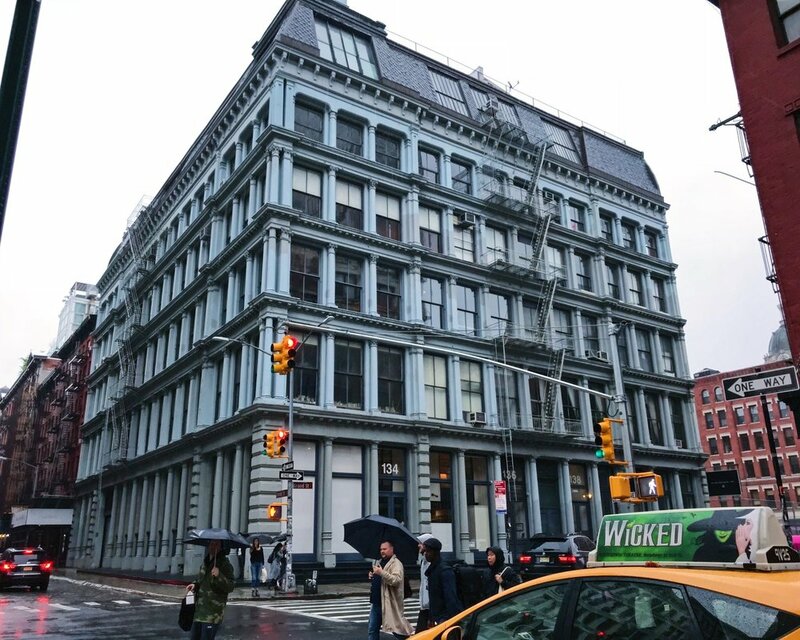 The building is in the SoHo-Cast Iron Historic District Extension and was built in 1900. Loci’s project at 817 Broadway for Taconic Investment Partners, TH Real Estate, and Squire Associates commenced construction in September. We are excited to work with a terrific team, including Studios Architecture, Stantec, and GMS Engineers, to completely renovate and restore the historic building to support new single floor office tenancies. 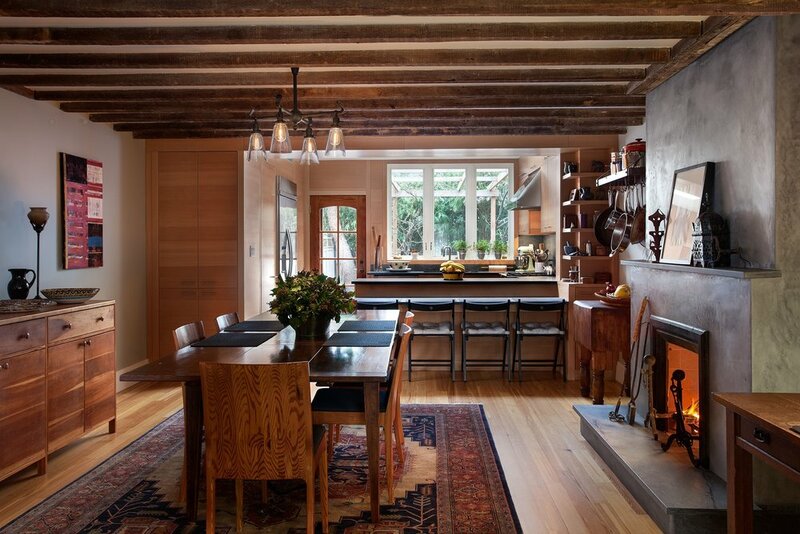 From a historical perspective, one of Loci’s more interesting projects: our renovation of a Brooklyn brownstone once occupied by the former queen of Sikkim published at 6sqft. Construction is complete for the second phase of the 18,000 sf Pre-K, Kindergarten, and 1st grade TEP Charter School in Washington Heights. 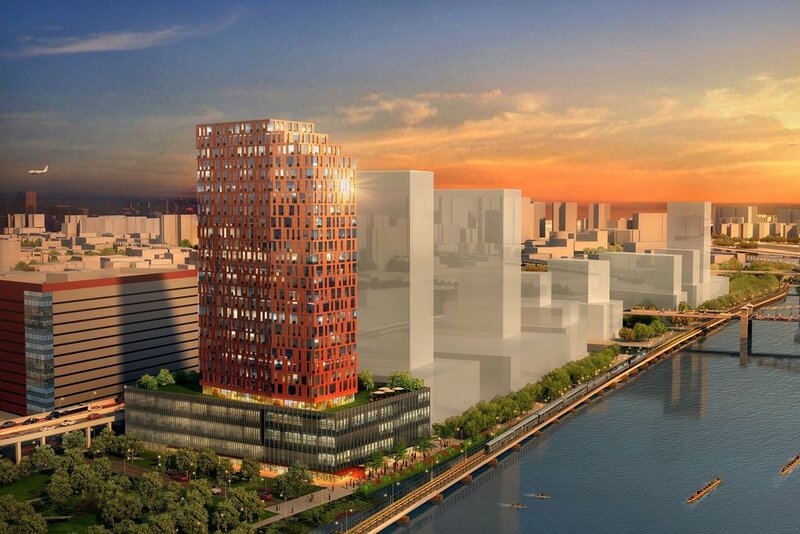 Loci proposes a 28-story mixed-use development as the first project of a Lower Grand Concourse Master Plan in the Special Harlem River Waterfront District in the Bronx. 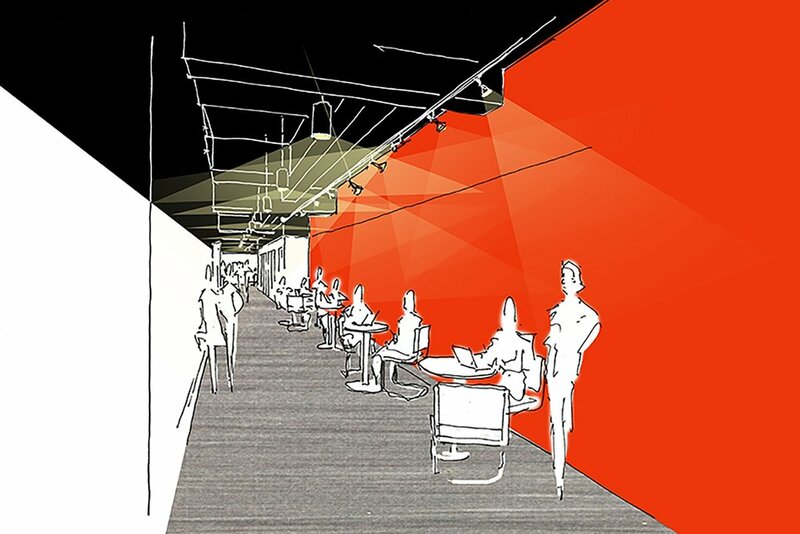 Loci presents its initial design concepts for Molloy College’s CAP21 Theatre Arts training and performance space on lower Broadway. The project is scheduled for completion in early 2018. 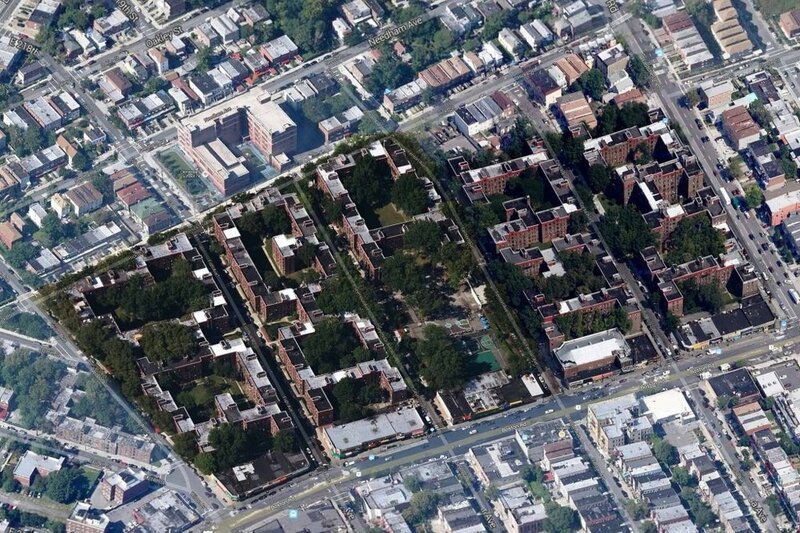 Loci’s design proposal for a new affordable housing development in the Bronx. Our design for the Kentile Park in Brooklyn is back in the news! Local blogs and online news organizations tell the history and story behind resurrecting the park under the tracks and incorporating the iconic Kentile letters. Brooklyner, DNAInfo, 6sqft, and the Brooklyn Paper. 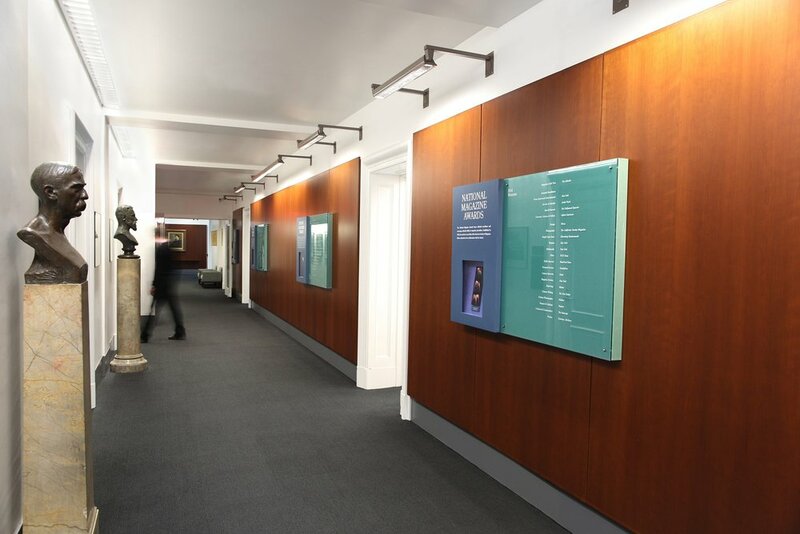 Working with the leadership at Columbia University’s School of Journalism, we upgraded the interiors at the historic Pulitzer Hall. In 2013 we took over management of a portfolio of projects that was closing its doors. The first project, the 115-unit Aurum Condominiums in Harlem, nears completion. For the second straight year, we are blessed with beautiful weather on our Harbor Sail. 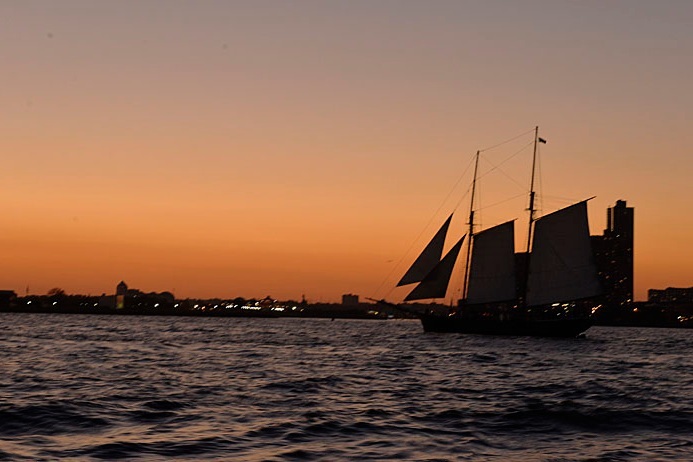 Joined by our families, clients, and colleagues on the Schooner America 2.0 yacht we sailed around New York Harbor and watched the sunset behind the Statue of Liberty. 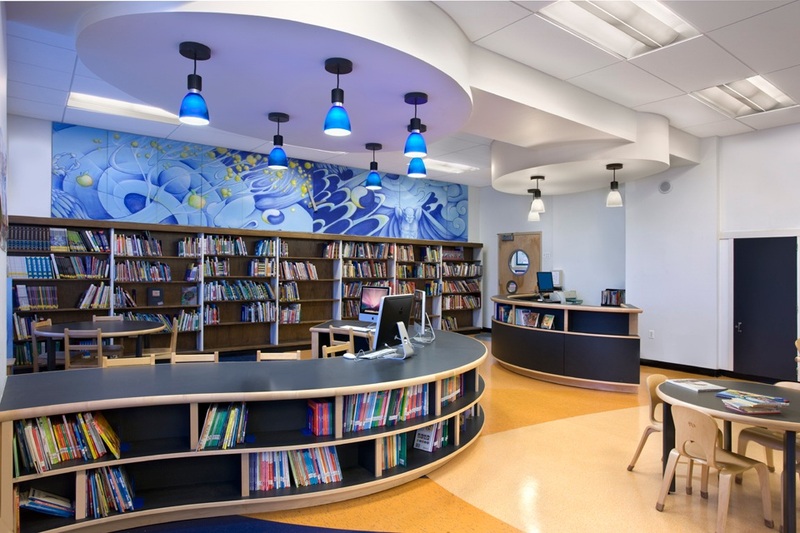 Brooklyn Prospect Charter’s K-5 elementary school is complete after four years of phased renovations designed by Loci. Loci starts the 2nd Phase for obtaining a Certificate of Occupancy at 1 Pace Plaza, reviewing code compliance at Maria’s Tower dormitory and filing a second set of documents with the Department of Buildings. Loci starts work on designing the conversion of a 55,000 SF warehouse in Queens to a retail and medical center. Gowanus by Design opens its exhibit for the Axis Civitas competition at Site:Brooklyn, a gallery in the Gowanus arts district. 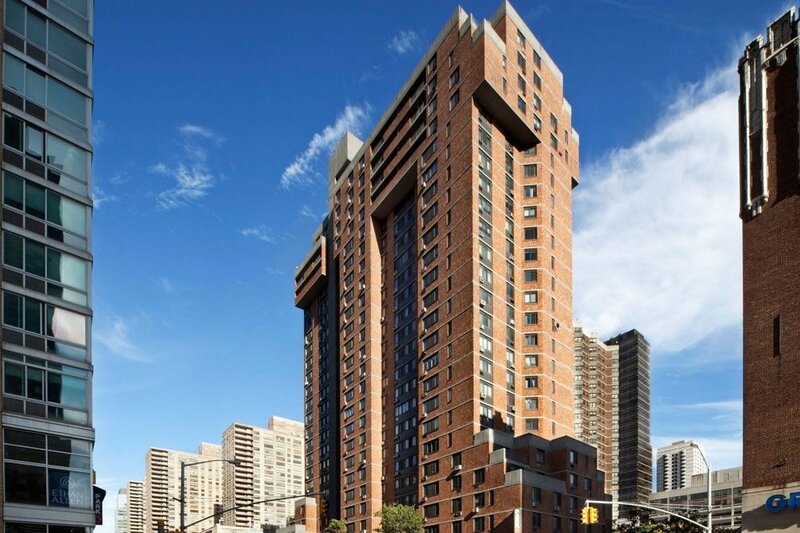 Loci completes the $1.7 million exterior restoration of the Lincoln Amsterdam Apartment Tower, a 25-story Mitchell Lama housing development west of Lincoln Center. 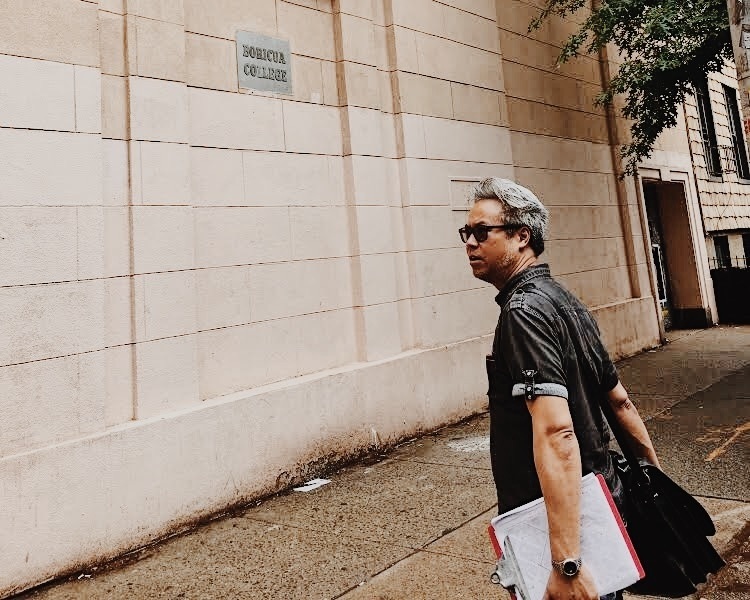 David Briggs is selected as Gowanus by Design’s first Executive Director, a non-profit researching urban strategies in the neighborhood around the Gowanus Canal, an EPA Superfund site. 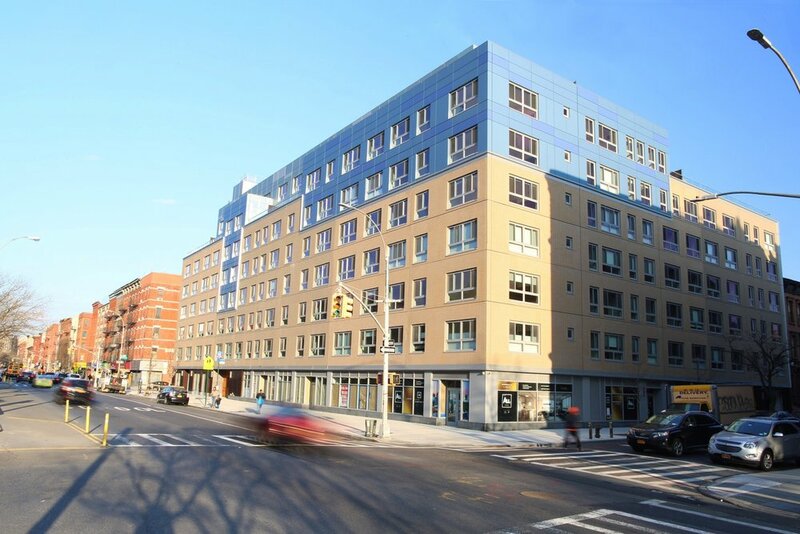 Loci completes the $11 million, 250,000 SF roof and parapet restoration project at the Eastchester Heights complex, a community of 114 residential buildings spread across five city blocks in the Bronx. 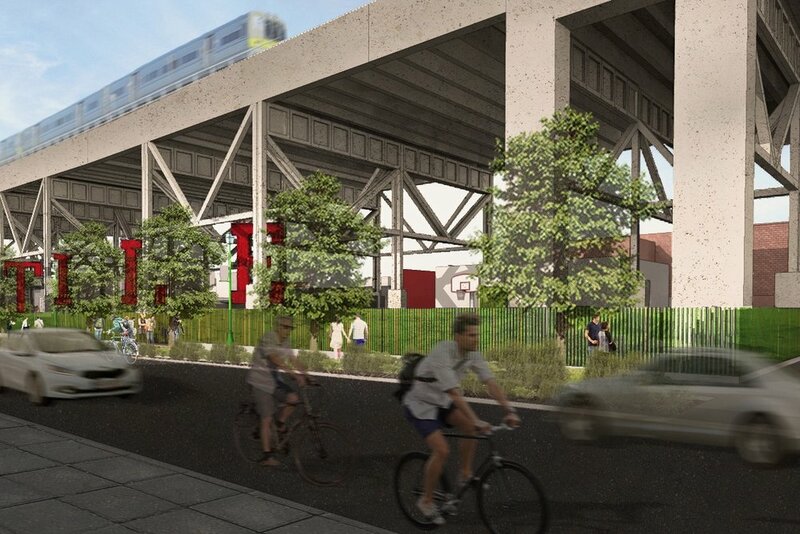 Loci starts working with Gowanus by Design and the Gowanus Alliance on the design of a new community park under the elevated F & G subway line in the Gowanus neighborhood. One of the park’s key features is the installation of the iconic KENTILE letters that were removed from a nearby building in 2014. 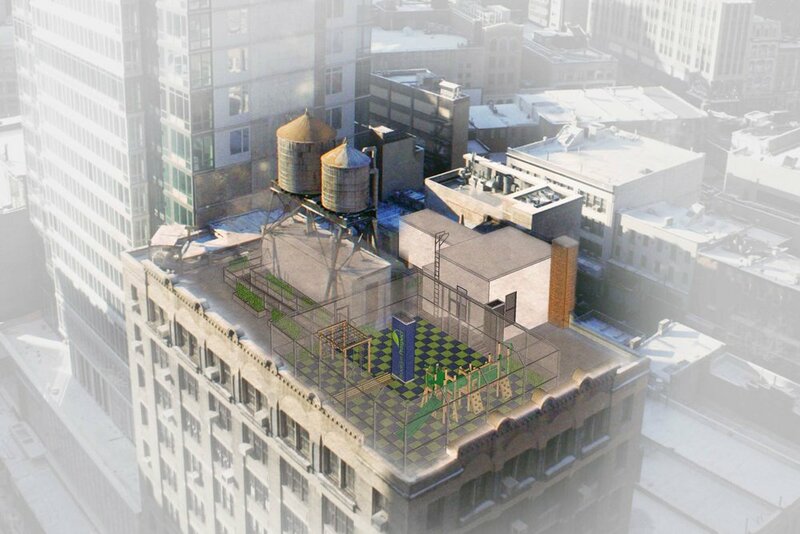 Loci starts the next project at Brooklyn Prospect’s elementary school in Downtown Brooklyn, which includes new classrooms, a food service area, and a rooftop playground. Loci is selected by Pace University to start a 10-year facilities compliance project to obtain the first Certificate of Occupancy for 1 Pace Plaza, a 500,000 SF mixed use building at the foot of the Brooklyn Bridge. 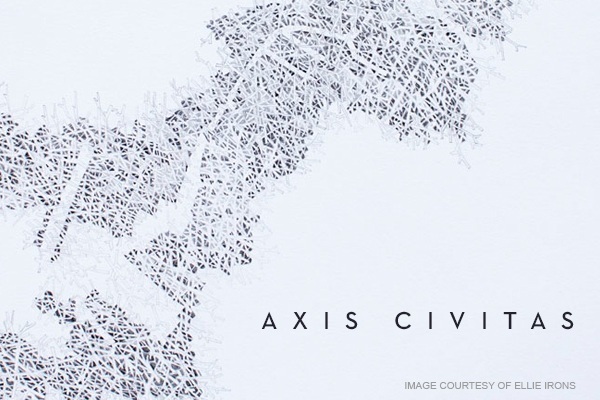 Gowanus by Design launches its third international competition, ‘Axis Civitas,’ a challenge to map unique conditions in the Gowanus Canal watershed and present them as the Gowanus Atlas in an Urban Field Station. At Brooklyn Prospect’s middle and high school in Windsor Terrace, construction is completed for a new black box theater, a library renovation, and the conversion of part of the existing convent into new classrooms and offices. 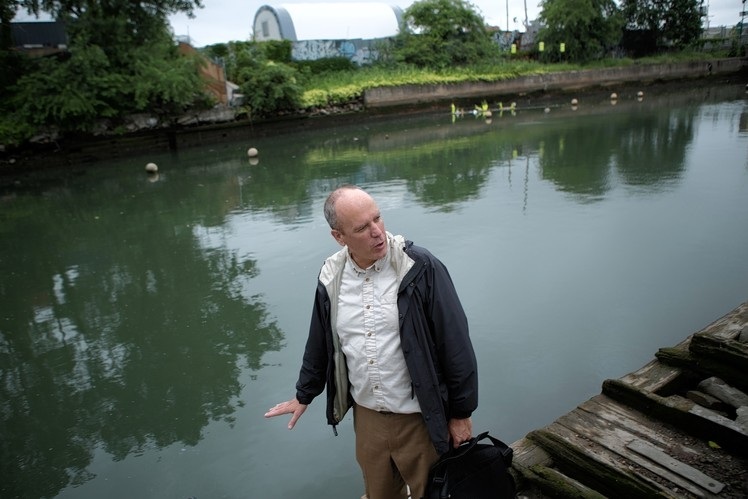 David Briggs, Loci’s Principal and Executive Director of the non-profit Gowanus by Design, got together in June with Wall Street Journal’s Ralph Gardner to tour the Gowanus Canal and discuss the condition of the Superfund site. Read the article here. 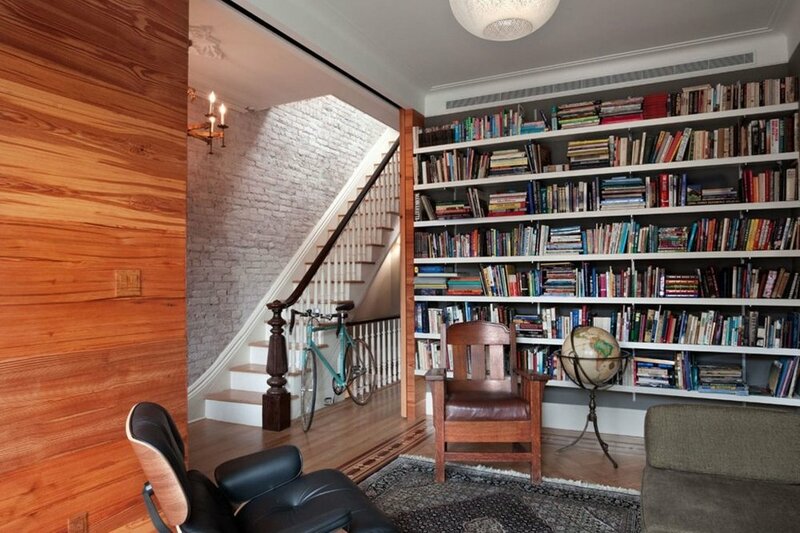 After eight months of construction, the renovation of a landmarked 1878 brownstone in the Carroll Gardens Historic District in Brooklyn is complete. Aside from an interior restoration and new extension, the cellar was lowered three feet in a complex shoring and underpinning process on the shared party walls. 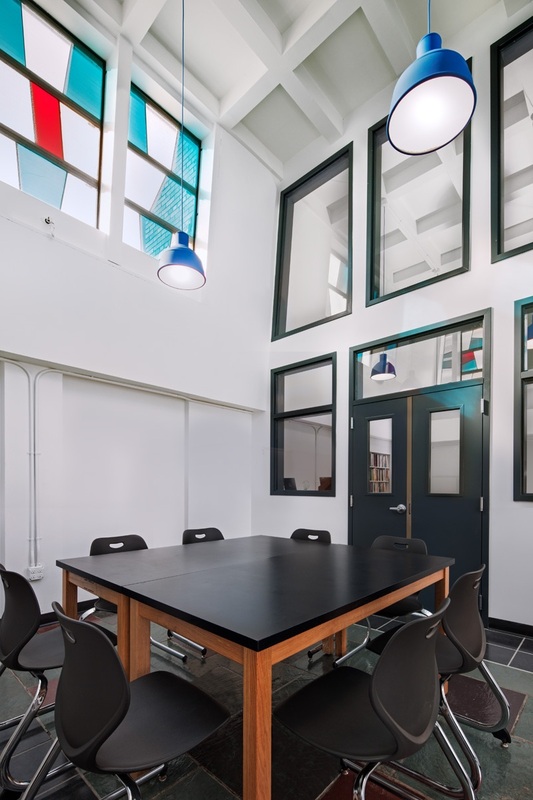 Loci completes two projects for Brooklyn Prospect Charter School: new science labs and a dance studio at its middle and high school campus in Windsor Terrace, and the first phase for its new elementary school in downtown Brooklyn. Gowanus by Design hosts an exhibit of the winners and selected entries of the Water Works Competition. Construction commences at a landmarked 1878 brownstone in the Carroll Gardens Historic District in Brooklyn. Loci’s design includes a new extension and complete interior renovation. Loci announces the completion of a stunning residential triplex and private roof terrace in a downtown historic district. More information on the project can be found here. 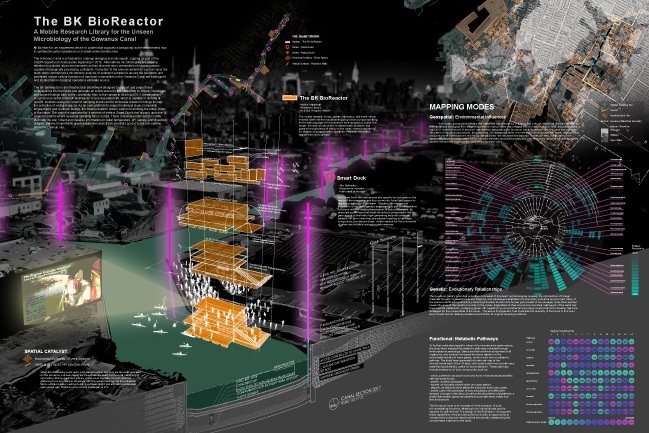 Gowanus by Design receives 125 entries from around the world for its Water Works Competition. 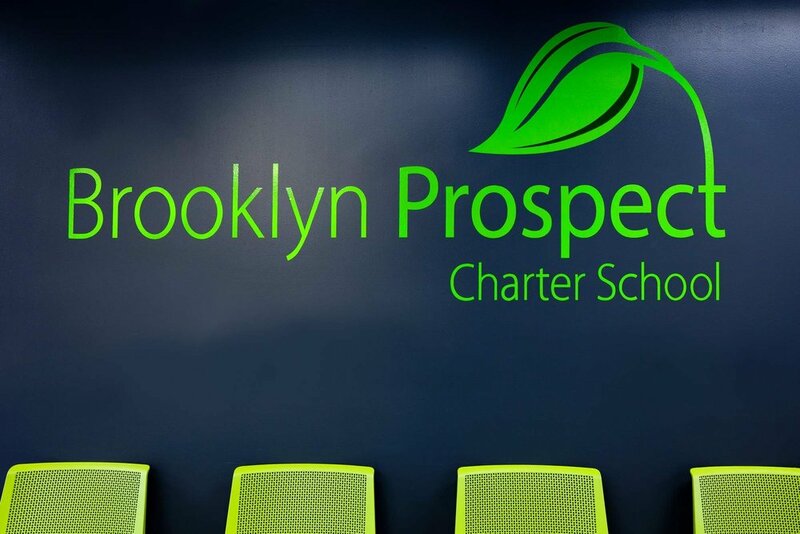 Brooklyn Prospect Charter School selects Loci to design the next phase of its renovations at its middle and high school in Windsor Terrace. The project includes new science labs and a dance studio. Construction is scheduled for completion by August 2013. Interview on brownstoner.com with Gowanus by Design Co-founders, David Briggs and Anthony Deen, discussing the Gowanus Canal and surrounding neighborhoods and their thoughts and concerns on the development of the area. Full article: here. 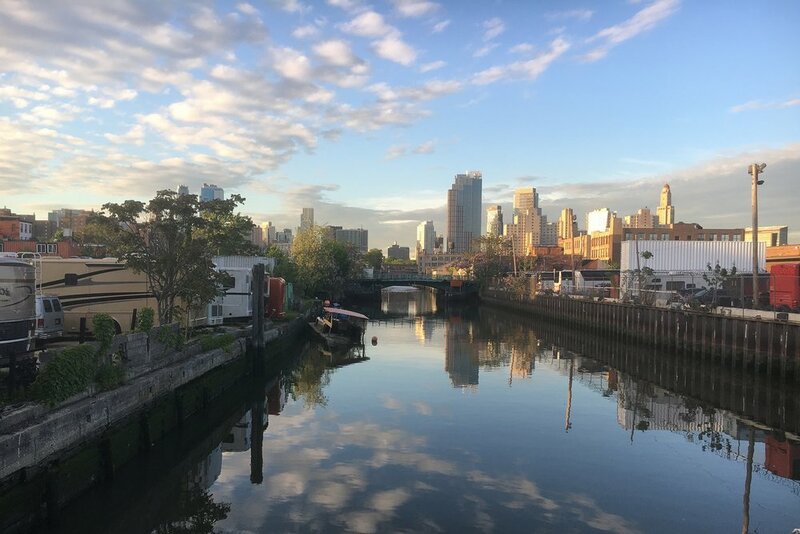 Interview with David Briggs and Anthony Deen, co-founders of Gowanus by Design on the public radio program, “Cityscape,” discussing urban planning issues at the Gowanus Canal. Read article: here. 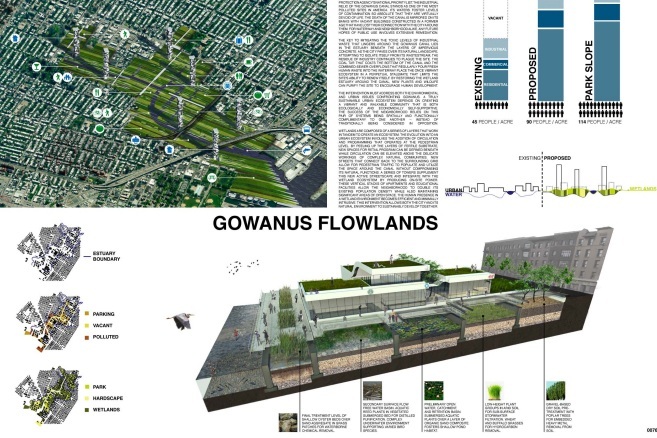 Gowanus by Design Competition featured in Urban Omnibus article: “Gowanus Lowline: Connections.” Full article: here. 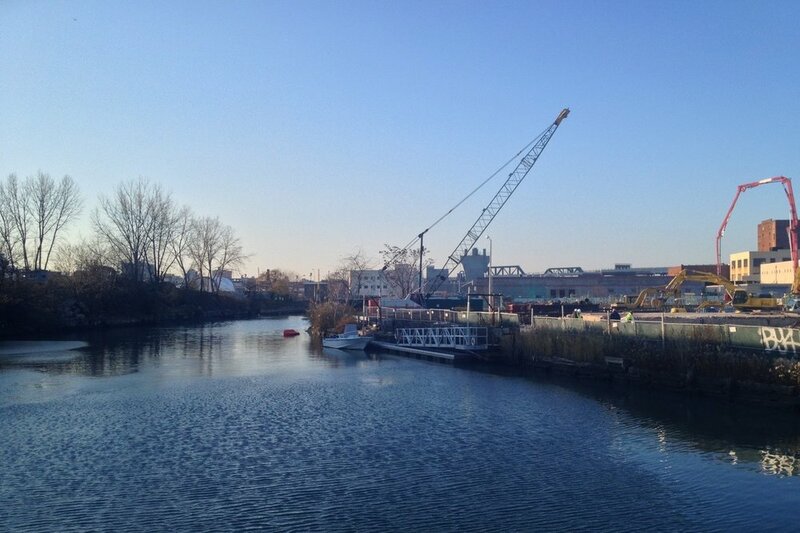 Gowanus by Design Competition featured in Carroll Gardens Patch “Create Your Own Canal”. Full article: here. David Briggs interview in the New York Times “In Gowanus, Big Development Can Wait”. Full article: here. Carroll School Library featured in Green Building and Design Magazine article. Carroll School Library received Bronze Award in SchoolDesigner.com’s Collabetition and Silver Citation in American School & University’s Educational Interiors Showcase. 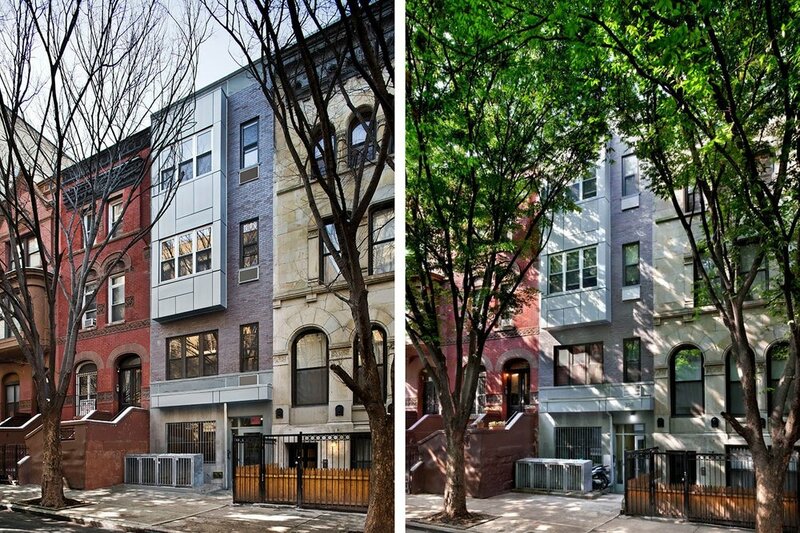 Harlem Townhouse Development featured on World Business Report, ABC News, and CBS News. 288 Lexington receives the 2007 Murray Hill Architectural Award for Excellence in Preservation and Design.